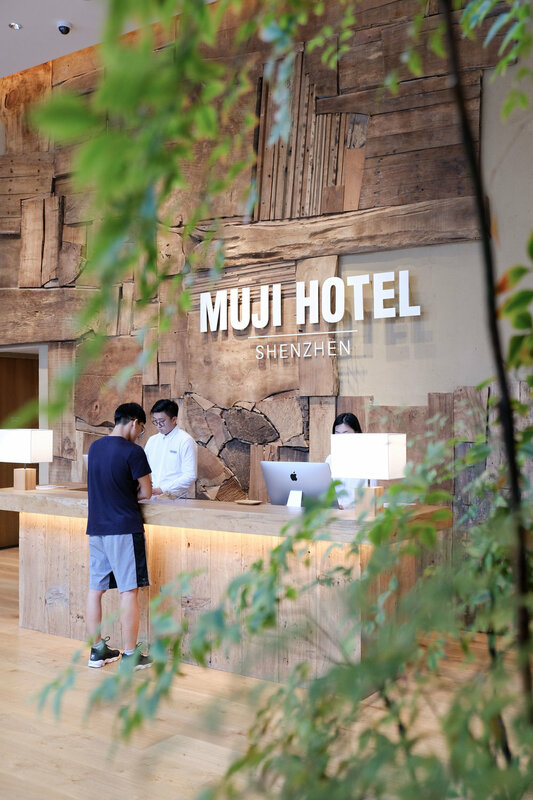 A couple months ago we visited the world’s first Muji Hotel, located in Shenzhen China. A little confession, I have been a Muji fanboy since I was a teenager. I frequented Muji shops after school just to get a whiff of its scent and a visual flush from the clutters of city life. I was a fan of the simple elegant everyday designs that stripped away the unnecessary, and deeply bought into its warm, minimal aesthetics. Growing up in Hong Kong, a tightly packed, efficiency-driven maximalist city, Muji represents the antidote, an oasis of minimalism. Every time I walked into a Muji store I felt comfortable, not in the sense I was physically comfortable, but my mental state was at peace. It’s been many years since I was a teenager, but my affinity to Muji remains, so when it was first announced that Muji was opening their first hotel in Shenzhen, it was only a matter of time before the visit happened. So without further ado, here are photos and some words of my experience. The first time you unlock the doors to your room, the curtain automatically draws open, letting the light softly flood the room through the veils. There’s an immediate sense of welcoming, that the space recognises your presence. 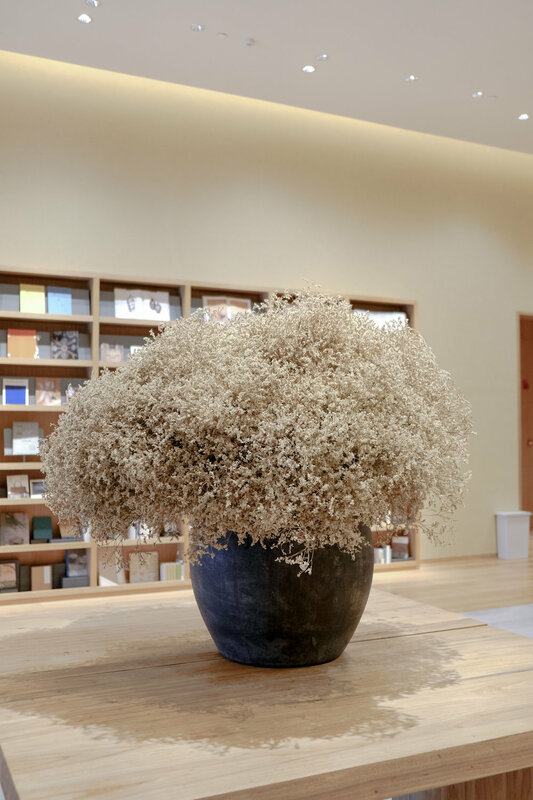 As anything Muji, the room is very clean, with wooden floorings and furnishings, beige walls and tall ceilings. Stepping in, it feels spacious, and the room is furnished with everything you’d expect from a hotel room, nothing more and nothing less. Almost all the products, barring the television set, is Muji’s own products, and the fanboy inside me was well pleased. The toilet is worth a mention, which automatically lifts its lid when you swing open the door, I mean, who doesn’t love an inviting toilet? The overall feel of the room is very comfortable, both physically and mentally. And the beautiful aesthetics and brilliance use of light is extended throughout the entire hotel, which also includes a large reading room/meeting area and a gym. Here are some more photos of the rest of the hotel. The one word to describe the entire experience would be “zen”, a sense of wholistic peace. I enjoyed every moment there, being wrapped in thick bath robes and donning the cushioned slippers, the whole nine yard. 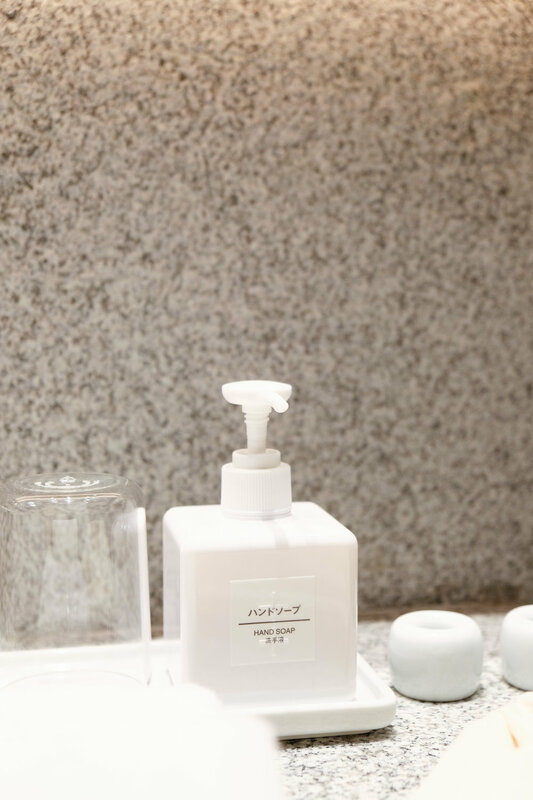 After all, a hotel is supposed to provide respite, and where many others succeed in providing comfort, Muji excels at providing rest, for both the body and the mind. For those who are visiting, it’s located in a new development called 深业上城, it is unfortunately not near any metro stations, but if you’re visiting from Hong Kong it is a short taxi (or Didi) ride from Lok Ma Chau border crossing. The development also has an interesting outdoor shopping area above its mall, which is a popular location for locals to take artsy photos, so be sure to explore a little. This is also the first time we’ve made a video, if you haven’t seen it, please check it out from the first image/thumbnail or click on the link here.